Turkish deputy prime minister said the ruling AK Party would discuss a suggestion by the nationalist MHP party to hold the presidential election in August this year, more than a year before the November 2019 scheduled date. MHP leader Devlet Bahceli suggested on Tuesday bringing forward the presidential election, saying it was difficult for the country to "stand current circumstances" until November 2019. "The party's official institutions will make an evaluation and a statement will be made afterwards," Deputy Prime Minister Bekir Bozdag told reporters. 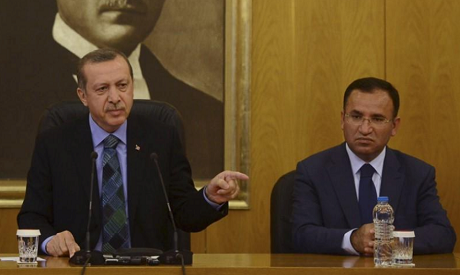 President Tayyip Erdogan said he would meet Bahceli on Wednesday. Turkey's lira weakened to 4.1103 by 0941 GMT, from 4.0865 before Bahceli's comments. The Borsa Istanbul main stock exchange index fell more than 2 percent. Turkey held a referendum a year ago which introduced a presidential system and granted Erdogan much greater powers.